The struggle is real. We desire to follow Christ, but too often we find ourselves entangled and tripped up, falling back into the old patterns of our former selves. The past continues to encroach into our present lives. What is going on? What keeps us from experiencing the full life Jesus promises us? 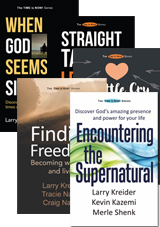 Larry Kreider, along with Craig and Tracie Nanna, examine God’s Word for the answers to these questions. They share from their own lives and the stories of others who have experienced God’s true freedom. 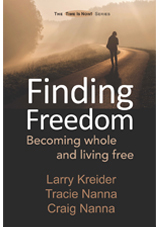 Finding Freedom is the fourth book in the series: The Time is Now! This book will help you discover that the Time is Now! to become whole and live free.